New Delhi: The Commerce Ministry has taken note of exporters’ complaints that the input duty refund under the duty drawback scheme claimed by some last year was much lower than the IGST (Integrated Goods & Services Tax) refunds due to them and it may ask the Finance Ministry to address the issue. “Exporters have said that they are willing to pay back the drawback with interest and they should be instead given IGST refund which is a much higher amount. The DGFT is likely to take up the matter with the Customs Department,” a government official told BusinessLine. Last year, when the GST regime was implemented, exporters were given the option of continuing with the popular duty drawback scheme (at a higher rate for some items) for three months (July-September) if they agreed to forego refund of IGST paid by them. After a number of exporters opted for the duty drawback option, they discovered that the IGST paid by them on inputs was much higher and opting for refunds under IGST would have been a better deal. “In the initial period everyone was confused about GST impact. A number of exporters were not aware of the implications and chose to be compensated for input taxes under the duty drawback scheme. Now when they understand that GST refund would give them a much higher amount for many items, the government should oblige,” said Ajay Sahai from the Federation of Indian Export Organisations (FIEO). Giving an example, Sahai said that for vegetables the drawback rate is 1 per cent. So, if an exporter is shipping say cauliflowers to West Asia at ₹40 per kg, he will get 40 paise as drawback. However, air freight is ₹100 per kg for cauliflowers and if the exporter is paying 5 per cent GST of ₹5 on that, then by opting for 40 paise of duty drawback, he is losing out on the ₹5 as GST refund. “What is the problem in not giving him the ₹5 as GST refund if he is willing to refund the duty drawback he got together with interest. The exporter is asking for what is rightly his,” Sahai said. While the Finance Ministry has once refused to allow exporters to switch their stated preference, Commerce Ministry officials say that they will take up the issue again. “Exporters need to be compensated fully for the input taxes paid as it is vital to help them stay competitive in the global market,” they said. The 2019 general election is now just months away. This means that the time for any significant change on the ground has passed as the government will soon get into campaign mode. However, as is often the case just before an Indian election, matters of economic concern are gaining importance in national conversations. The rupee is plummeting, banking and financial institutions are in the news for all the wrong reasons, and domestic investment sentiment is ominously subdued. At the same time, foreign investors are taking money out of the economy and running like rats deserting a sinking ship. When Prime Minister Narendra Modi came to power in 2014, nothing helped him more than the precarious state of the economy at the time. Today, even though the economy is in much better shape with stronger growth and higher foreign exchange reserves, the same old problems are coming back to threaten the incumbent. The economy is currently under threat from a mix of international and domestic factors, most of which were issues before the previous election as well. On the global front, three major factors are fuelling India's current economic problems: Rise in US interest rates, the rising oil prices and a growing sense of trade protectionism around the world, resulting in a trade war that is making global investors jittery. Of the three, the first two were pertinent issues in 2013-14 as well. The first hint of US winding down its tight monetary policy had led to a flight of capital out of emerging economies. Until mid-October, foreign institutional investors had withdrawn a whopping Rs 90,000 crore from India's capital markets. The country has accumulated a huge pool of reserves to deal with the issue since it was caught unawares in 2013, but clearly it was not enough to stem the slide of the rupee, which has fallen by over 14 percent in this calendar year. Meanwhile, an issue that will have maximum bearing on voters is the rising oil prices. Global crude oil prices have risen by 24 percent since April this year, after the Organisation of Petroleum Exporting Countries (OPEC) decided to cut production. Such an escalation, combined with a sliding rupee, has resulted in a double whammy for India. A rise in the price of a barrel of oil by one dollar raises the country's import bill by Rs 823 crore. This has resulted in the widening of the current account deficit (CAD) to 2.4 percent of the GDP in the first quarter. Another factor with a strong bearing on the fortunes of the Indian economy is the developing trade war between the two largest economies in the world. As the US and China impose newer and higher tariffs on imports into their countries to get back at each other, India plans to introduce higher tariffs on US imports from November in response to the latter's import tariffs on aluminium and steel. India needs to be careful not to aggravate the situation for itself by getting caught in this cross-fire. In 2017-18, India exported almost double what it imported from the US and it would be an unnecessary burden on the CAD if the equation changed. On the domestic front, the situation seems to be no better. When Modi came to power, one of the biggest expectations was that the so-called "animal spirits" in the economy would receive a significant push by reviving muted investor sentiments. But in March 2018, investment accounted for merely 30.8 percent of India's nominal GDP. To put matters in perspective, the average investment between June 2004 and March 2018 has averaged at about 35 percent. In fact, CMIE (Centre for Monitoring Indian Economy) data shows that, for the first time, the value of new projects announced by private players in this quarter is lower than those announced by the public sector. Another domestic problem is one which had developed much before the BJP government came into power. The country's banking sector remains burdened by bad loans. Despite the best efforts with loan resolutions through the National Company Law Tribunal (NCLT), Indian state-owned banks had to write off over Rs 300,000 crores between April 2014 and April 2018 as per RBI data. The private banking sector has had its fair share of troubles as well with the top management at ICICI Bank and Yes Bank finding itself mired in controversies. To make matters worse, more recently, non-banking financial institutions were added to the list after India's leading infrastructure finance company, Infrastructure Leasing & Finance Services (IL&FS), defaulted on its interest payments, triggering panic in the markets. The collapse of IL&FS is expected to further adversely impact the credit extended to productive sectors. The only solace for the economy -- that it is growing at an impressive eight per cent -- is also misleading: An economy recovering from the twin shocks of demonetisation and GST is bound to inflate growth as it slides into normalcy. With no green shoots in sight, there are no straightforward solutions to the country's economic situation. India is in dire need of a long-term growth strategy; one that can't fit into weekly columns. But, instead, it is fire-fighting its way out of one crisis after another; or rather, from one election to the next. 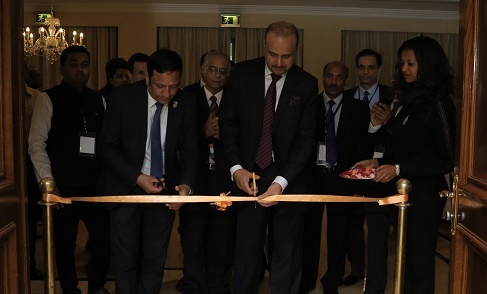 A pparel Export promotion council had organised 'Fabric of Unity', an event to celebrate Indian Textiles, an embodiment of National integrity of the country. 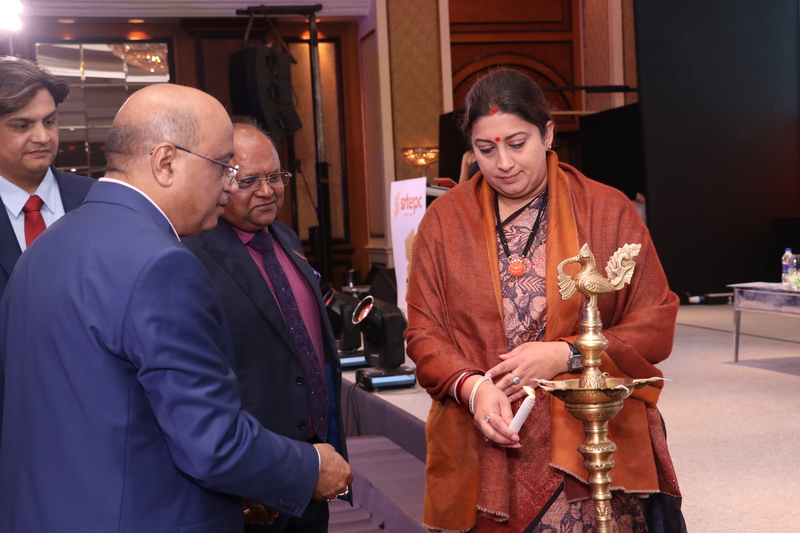 The event was graced by Smriti Zubin Irani, Union Minister of Textiles, Government of India along with HKL Magu, Chairman, AEPC at Apparel House. 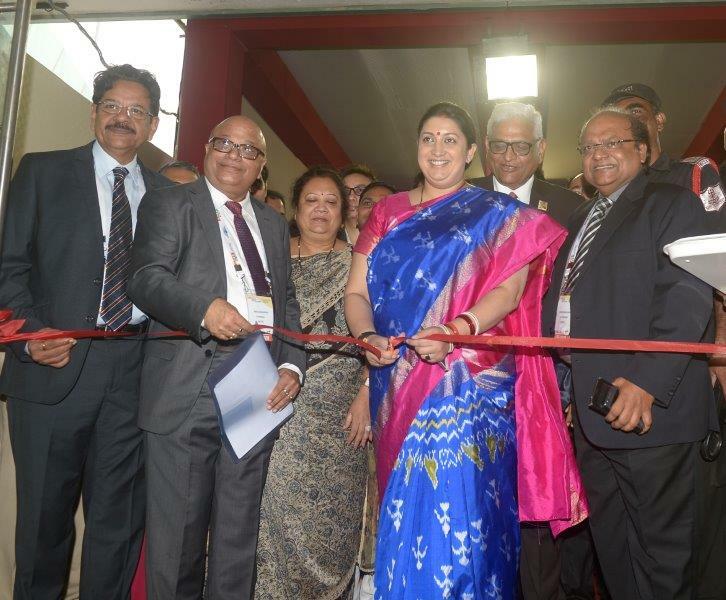 EC members of AEPC, officials from Ministry of textiles and senior representatives from the textiles councils and associations, representatives from brands, ETI, ATDC students, NGOs working in this sector were also present at the event. 'Rashtriya ekta diwas' is observed every year across India on October 31, to commemorate the birth anniversary of the 'Iron man of India' – Sardar Vallabhai Patel. Observance of this day provides an opportunity to reaffirm the inherent strength and resilience of our nation to withstand actual and potential threats to the unity, integrity, and security of our country. 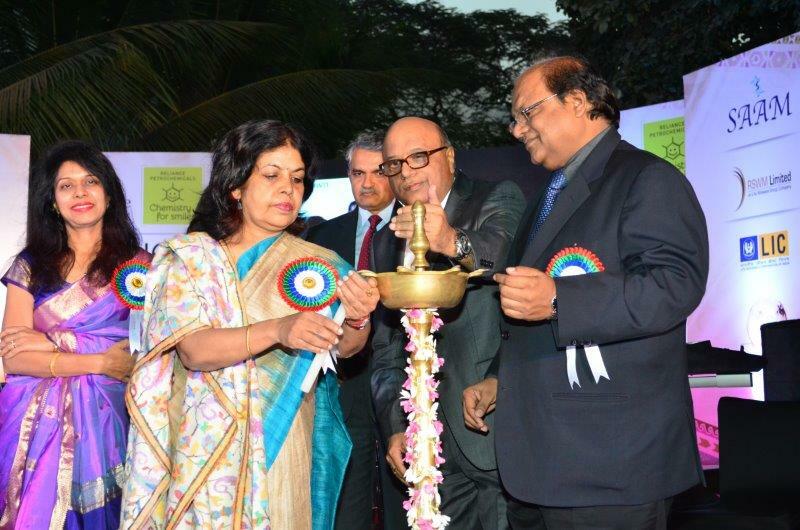 Speaking at the event HKL Magu, Chairman, AEPC said, "Indian textiles have played an important role in the Indian freedom movement and what can be a better example of Unity in diversity than the Indian textile heritage. The 'Fabric of Unity' is an event to celebrate this. Father of the nation Mahatma Gandhi regarded Khadi as the material embodiment of an ideal' that represented freedom on one hand and a feeling of self-reliance and economic self-sufficiency on the other. 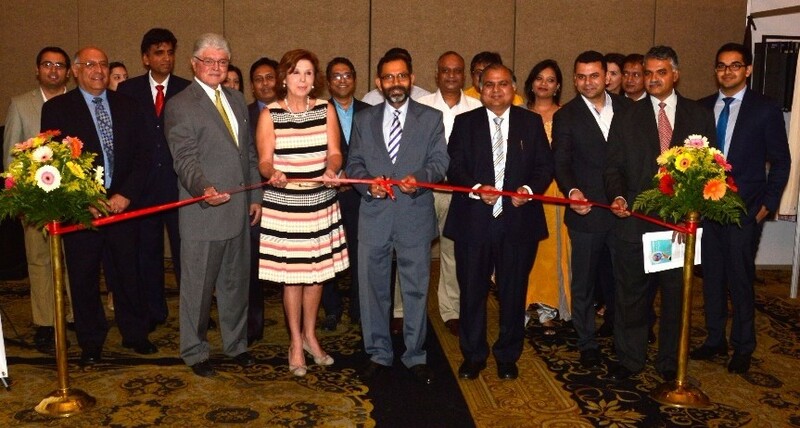 "Further adding, he said, "This year happens to be AEPC's 40th year of service for promoting Apparel exports around the world. We feel proud to be working on some very important initiatives to promote inclusion and sustainable apparel ecosystem. In the words of Prime Minister, Sardar Patel formulated solutions one by one, weaving the warp and weft of unity on the axis of a single thread.“Talking about the significance of this day, he stated, "AEPC celebrates this day to reaffirm our belief in the strength of Indian Textiles to bring together the most diverse cultures and traditions of India. "The event saw the unveiling fabric of unity, taking of the unity pledge and unity march from Apparel House. Congratulating the AEPC team after unveiling the Fabric of Unity, Smriti Zubin Irani, Minister of Textiles said, "AEPC has organized this Fabric of Unity event in which industry, workers, and volunteers took the pledge to work for the betterment of the nation.In continuation to this spirit of the Unity Pledge – to contribute to the nation-building as a unified entity, AEPC can take this concept of Fabric of Unity forward by showcasing the rich history of the diverse fabric and textiles traditions of India at AEPC premises." New Delhi : India is expected to show a “big improvement’’ in its ranking in the World Bank’s Ease of Doing Business global index to be announced on Wednesday with improved performance in most of the 10 indicators of doing business, a government official has said. “The top three areas of improvement this year are likely to be starting a business, trading across borders and dealing with construction permits. The overall performance this year will be as encouraging as last year,” the official told BusinessLine. India jumped 30 notches last year to rank in the top 100 countries in the World Bank’s Ease of Doing Business global rankings for the first time. The World Bank ranks a total of 190 countries. Commerce Minister Suresh Prabhu also indicated that India’s performance would improve in the World Bank’s ease of doing business report 2019 to be released on Wednesday. “Tomorrow, you will be hearing a better news about India improving parameters on ease of doing business. We already have improved substantially. We will make the formal announcement tomorrow with the World Bank (releasing its report),” Prabhu said on Tuesday. The World Bank had noted in its last report that India lagged in areas such as starting a business, enforcing contracts, and dealing with construction permits. “These are the areas where India gave specific focus and, therefore, hopes to reap maximum gains,” the official said. While the World Bank’s index is designed to give an idea to foreign investors about the investment regimes in different countries, it is yet to be ascertained whether improvement in India’s ranking has actually resulted in higher foreign investment flows. The World Bank ranks countries based on parameters such as starting a business, construction permits, getting electricity, getting credit, paying taxes, trade across borders, enforcing contracts and resolving insolvency. High oil prices are hurting consumers and could also have adverse implications for producers, the executive director of the International Energy Agency (IEA) said on Tuesday. Major emerging Asian economies such as India and Indonesia have been hit hard this year by rising crude oil prices, which despite falls this month are up by around 15 percent since the start of 2018. Fuel import costs have been pushed up further by a slide in emerging market currencies against the dollar, denting growth and even triggering protests and government fuel price controls in India. "Many countries' current account deficits have been affected by high oil prices," IEA chief Fatih Birol said at an energy conference in Singapore. "There are two downward pressures on global oil demand growth. One is high oil prices, and in many countries they're directly related to consumer prices. The second one is global economic growth momentum slowing down." The effect of high oil prices will be compounded in Southeast Asia as demand is rising fast but production is falling, resulting in the region becoming a net importer of oil, gas and coal, Birol said. Despite the possibility of a slowdown, Birol said the general outlook for fuel consumption was for continued growth. While the rise of electric vehicles is expected to result in peak demand for products like diesel and gasoline within coming years, a consumption boom in products such as plastic as well as fuel demand growth from aviation have triggered large-scale refinery investment into petrochemical products and high quality products like jet fuel. "Global oil Demand will continue to grow even amid the rise of electric vehicles as they are governed by petrochemicals, aviation, among others," he said. Indian policy makers have been trying to figure out how to gain strategic advantage from the US China trade war. Its response needs to encompass trade, investment, tax, regulatory, exchange rate policies. The recent surge in proposals for greenfield foreign direct investment in some Asian countries should pique the interest of all those who ask whether India can benefit from the intensifying trade war between the US and China. The United Nations Conference on Trade and Development released data last month that shows how international firms have announced plans to pour money into new projects in Indonesia ($28 billion), Vietnam ($18 billion) and the Philippines ($12 billion). It is quite likely that these new greenfield investment proposals—that come in the midst of an overall decline in global foreign direct investment—could be because international firms are trying to relocate parts of their supply chains to other countries in the region, as Donald Trump turns the screws on Chinese mercantilism. There are lessons for India here. Indian policy makers have been trying to figure out how to gain strategic advantage from the trade war between the two largest economies in the world. The first task is to identify the opportunities. India has few manufacturing capabilities in many of the largest items in the US import bill—mobile phones, telecom equipment, household appliances, toys, televisions, semiconductors, industrial machinery. Where India can get into the game is in sectors such as textiles, clothing, auto components and certain types of chemicals, a government official told me. A similar exercise can be carried out with respect to what China imports from the US. But that is not all. It is well known that modern trade is dominated by the exchange of inputs—or intermediate goods—through supply chains that straddle across international borders. India has generally been unable to become an active participant in these supply chains. The fact that so much of international trade is now between firms rather than from producer to final consumer means that it is impossible to separate trade policy from investment policy in an interconnected world. That is why the surge in foreign direct investment in Indonesia, Vietnam and the Philippines deserves closer attention in India. It could be linked to US companies gradually increasing their purchases of inputs from Asian countries other than China. Getting large investment projects—backed by either domestic or foreign money—will thus be central to any strategy to take advantage of the trade war. Such projects will help India plug into international supply chains. A global equity investor I recently met said that many large US companies are actively considering options to reduce their geopolitical risk by shifting some of their suppliers to other Asian countries. This is a strategic opening for India to get into the reckoning, though that will require a comprehensive look at import tariffs, investment policy, ease of doing business and moving to a goods and services tax (GST) that encourages exports by zero rating them (see this 30 July 2018 oped by V. Bhaskar and Vijay Kelkar). The reality has been messy. India has moved up the ease of doing business rankings of the World Bank. Foreign direct investment has been steadily climbing, though not enough is coming into new industrial projects. The transition to GST as well as the demonetization shock disrupted many existing supply chains. Trade policy seems to be taking a protectionist turn; Abba P. Lerner showed way back in 1936 that an import tariff has the same economic effects as an export tax. Trump hopes to close the US trade deficit, though it is safe to guess that the largest economy in the world will continue to run a large current account deficit in the coming years because its domestic savings are far lower than domestic investment. However, US trade policy will be disruptive. The key question is whether what Trump is doing will lead to trade diversion away from China or worldwide trade destruction. Trade diversion should benefit India if the government plays its cards well, and that is a big if. Trade destruction will harm all the major economies in the world. India too will get singed. There is reason to bet on trade diversion rather than trade destruction right now. India has failed to do what Asian countries from Japan in the 1950s to Korea in the 1980s to China in the 2000s did so successfully—export labour-intensive goods to the developed world. At least two contemporary hot-button issues are directly linked to this failure. The first one is job creation in formal enterprises. The second one is recurrent balance of payments scares. Look at the case of textiles, an industry where India has deep historical capabilities. The opportunity that came our way after the multi-fibre agreement was scrapped at the turn of the century was frittered away, even as China, Vietnam, Bangladesh and Sri Lanka grabbed the opportunity. The trade war could provide another such strategic opening as long as it does not destroy the liberal trading system. However, the Indian response needs to encompass trade, investment, tax, regulatory and exchange rate policies. Trade will not be automatically diverted from China to India. There is a lot of hard work to do. The initial fear is that the likes of Indonesia, Vietnam and the Philippines are walking away with the prize. That should hopefully focus some minds in New Delhi. Niranjan Rajadhyaksha is research director and senior fellow at IDFC Institute. No long-term steps have been taken to reduce the trade gap. Reserves are inadequate buffers, given the ‘hot money’element. The Centre’s decision to raise import tariffs on a range of non-essential items like telecom equipment, precious stones and jewellery, ACs, refrigerators, washing machines etc. has come in the backdrop of the current account deficit rising to 2.4 per cent of GDP in Q1 of 2018-19, further up from 1.9 per cent in 2017-18. Through these steps the government expects to compress the external deficit and stall the rupee's ongoing downslide. Will it work in the longer-term? During the high growth phase of the Indian economy in the last decade, with real GDP growth averaging 8.7 per cent from 2003-04 to 2010-11, merchandise import growth far outstripped export growth and led to a persistent trade and current account deficit. When growth started slowing down and yet the current account deficit continued to widen, peaking at 4.8 per cent of GDP in 2012-13, there was a sharp currency depreciation episode, during the “taper tantrum” of mid-2013. That a rising current account deficit will once again bring the balance of payments under strain, especially with the end of accommodative monetary policies in the US, was known to the policy-makers. Yet the period since the “taper tantrum” was not utilised to seriously address the persistent current account imbalance. With imports falling significantly following the sharp fall in crude oil prices during 2014-2016, attention got diverted from the fact that India’s export growth practically collapsed during this period. Export performance during 2016-2018 was modest, following which the current account deficit started widening in 2017-18, with rising crude oil prices and enhanced non-oil imports like electronics goods, precious stones, coal etc. Moreover, foreign exchange earning sectors like software services exports and remittances have witnessed growth stagnation since 2013-14. The government’s ‘Make in India’ thrust has clearly failed in reviving exports so far; rather the digitisation drive appears to have increased import dependence on electronic goods. A longer view of the rupee-dollar exchange rate shows that while the rupee value remained within the band of ₹40 to ₹50 per dollar in the period from late-1990s to 2011, it breached the ₹60 per dollar threshold during the “taper tantrum” of 2013 and has now crossed the ₹70 mark in 2018; there has been an accelerated depreciation of the rupee over the past six years. Chart 1 reveals two notable features of this phase of accelerated nominal depreciation of the rupee: (i) While the movement of other major international currencies like Euro, British Pound or Japanese yen were not always in tandem with the dollar, they have all moved together during the episodes of sharp depreciations in 2013 and 2018. (ii) Despite India’s foreign exchange reserves increasing from a monthly average of around $292 billion in 2012 to $411 billion in 2018, such an increase has neither been able to stall the gradual decline in the rupee's value nor prevent the sharp fall vis-a-vis all major currencies in the current year. This brings out the inadequacy of foreign exchange reserves, built on the basis of volatile capital inflows, in stabilising the domestic currency in the face of sharp changes in the direction of such flows. The Centre should stop bragging about India’s foreign exchange reserves touching a “historic high” and realise that in the era of globalised speculative finance, even such historic high reserves cannot prevent currencies from touching historic lows. While the inflationary impact of the rupee’s fall, especially in terms rising domestic fuel prices are obvious, what needs an explanation is why India’s export performance has continued to remain lacklustre despite long-term nominal depreciation. Chart 2 shows the long-term nominal decline of the rupee vis-a-vis the basket of 36 currencies belonging to India’s trading partners, through the nominal effective exchange rate (NEER). It is noteworthy that the real effective exchange rate (REER) index shows divergence with the NEER from 2008 onwards, with the rupee actually witnessing an appreciation in real terms in relation to its export partners. The divergence between the NEER and REER indices indicate that the price level in India has remained much higher than its export partners since 2008, which is one of the reasons why there has not been any J-curve effect on India’s export growth and the current account balance. Nominal depreciation is therefore imposing costs while the benefits have remained elusive. Unless policy measures address the structural problems underlying India’s current account imbalance, piecemeal steps like tariff hikes would fail to stall the tumbling rupee. There is an urgent need to bring down the import intensity of the growth process itself in India, besides gradually moving away from high fossil fuel dependence over the longer term. Without such a strategic shift in policies, India’s external vulnerability will persist. India ranks 4th among the top 10 NIIP deficit emerging/developing economies, with a negative net international investment position (NIIP) of $425 billion in Q1 of 2018 (see table). High NIIP deficits add to the external vulnerability of the emerging/developing economies, particularly for those with high net debt liabilities. What adds to India’s vulnerability is the bubble in the equity market, which now figures among the most overvalued markets across the world in terms of metrics like P-E ratios. The rupee’s downslide in 2018 was a consequence of net foreign portfolio and debt flows turning negative in Q1 of 2018-19. The domestic mutual funds have so far provided the counterweight to net selling of equities by the FIIs, through higher net purchases, which has kept the equity boom going. However, the 10 per cent correction in the BSE Sensex in September-October 2018 after a 17 per cent climb between March-August, reflects a bubble. It is high time we imposed some curbs on volatile capital flows, which aids and abets such bubbles that trigger currency meltdowns. In addition to textiles, Directa Plus and Arvind will now work together to develop graphene-enhanced composite materials and water treatment services. 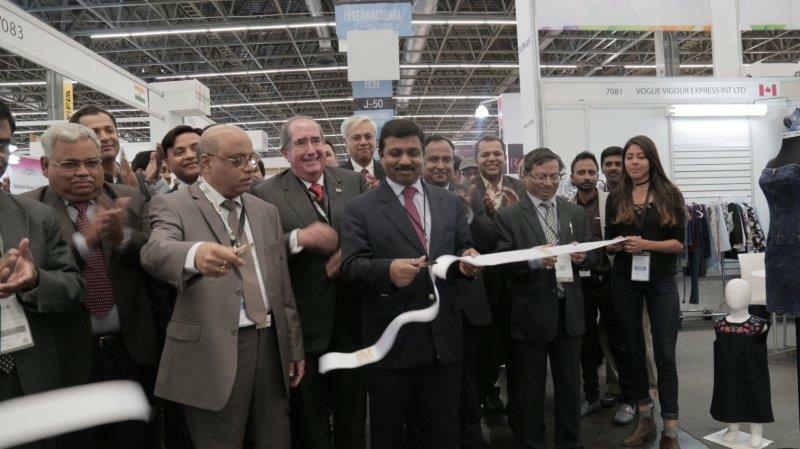 Graphene specialist Directa Plus Plc has extended its partnership with Arvind, one of India’s largest textiles groups. The two have already worked together to make the world’s first graphene-enhanced denim jeans and jackets, which they launched at an event in Amsterdam last week. This time, they have signed a deal which will see them work together to develop composite materials and water treatment services using Directa’s G+ and Grafysorber graphene products. Not only should the partnership help to reduce the time to market for the company’s non-textile products, but Directa bosses reckon it should help to get more commercial contracts over the line. “Signing this agreement with Arvind will help Directa Plus expand further and faster in one of the world's biggest markets,” said founder and chief executive Giulio Cesarero. “We have enjoyed close co-operation from Arvind in recent months and we are confident that our developing common understanding will help both companies meet their commercial goals.” He added: “The launch of the G+ range of denimwear could prove transformational for the sale of jeans in India and elsewhere, and Directa Plus is delighted to be able to participate in that trend.” The agreement was signed as part of the India-Italy technology summit in New Delhi, which was attended by both countries' prime ministers. Shares zipped 4.6% higher to 50.5p in mid-morning trade on Tuesday. Note: The above prices are Chinese Price (1 CNY = 0.14353 USD dtd. 31/10/2018). The prices given above are as quoted from Global Textiles.com. SRTEPC is not responsible for the correctness of the same. LAHORE: The textile industry is seeking Prime Minister Imran Khan’s assistance to persuade China’s in his forthcoming visit to establish a special credit line of $5 billion for new investments and joint ventures between manufacturers of both countries. According to a report in Dawn, the All Pakistan Textile Mills Association (Aptma) in a recent paper sent to the textile ministry, the stakeholders said the facility should be provided by China under the pay-as-you-earn scheme on the buying-back basis to stimulate investment in exports from Pakistan. Aptma Punjab official Anisul Haq said on Wednesday this proposal was put forth for enhancing industrial and investment cooperation with China as CPEC enters the next stage. The paper prepared by Aptma says the special credit line would provide assistance in an early relocation of Chinese textile industry to Pakistan and increase our exports there. The official said, “There is a big market for Pakistani textile products in China where wet textile processing is being shut down and relocated to other countries,” The Chinese local textiles and clothing market is projected to be worth $500 billion and Pakistani textile export constitutes a meagre 3% of their textile and clothing imports of $268 billion, indicating there is a huge opportunity there. Mr Haq said the PM’s first tour to China and the meeting with the top cadre could assist in winning this facility for Pakistan’s largest exporting industry. He mentioned China should contemplate establishing garment plants in Pakistan for export to avoid Trump tariffs on its American shipments and take advantage of the country market access to the European Union (EU) under the GSP+ scheme. Textile entrepreneurs have warned the government that they will shut down their businesses completely from November 1 if their concerns are not addressed. What is the actual problem? The government introduced the Value Added Tax (VAT) Act 2052 and textile industry had been enjoying subsidy facilities ever since. Along with other facilities, the government also started giving us VAT refund facility — up to 70 per cent — from 2013. As the production cost of Nepali textiles is very high making domestic textile products uncompetitive, the VAT refund facility and other subsidies on textiles had been providing relief to textile entrepreneurs to some extent. However, government scrapped the VAT refund facility for textiles through the budget of the ongoing fiscal year. As a result, production cost of textiles in the country has started surging. This has made Nepali textiles further uncompetitive in the domestic market and textile factories across the country have started cutting down on their production. As of today, textile factories are operating below 50 per cent of their capacity. We reported all these circumstances to the government and two months back the Ministry of Finance (MoF) had vowed to address our concerns and had formed a committee for the purpose. However, the committee has not come up with its report and suggestions though it was given a mandate of one month. Thus, the Nepal Textile Industries Association (NTIA) has decided to stop operation of all textile factories across the country to put pressure on the government to address problems being faced by textile entrepreneurs. However, the government is still reluctant towards addressing our issues. As a result we are being compelled to shut operation of factories from November 1, as announced earlier. We should note that the government earlier had been giving us VAT refund facility realising the fact that domestic textile products cannot compete with foreign textiles which are comparatively cheaper. Along with the problems that have resulted after the VAT refund facility was scrapped, NTIA has also submitted a report to the government on necessary long-term and short-term policies that need to be introduced to make Nepali textile industry competitive in the domestic and international market. We had high expectations with this government as it holds two-third majority in the Parliament. Unfortunately, the government seems unwilling to address the problems of the private sector. The government has been saying that its top priority is to reduce the trade deficit gap, create employment opportunities and foster economic growth. 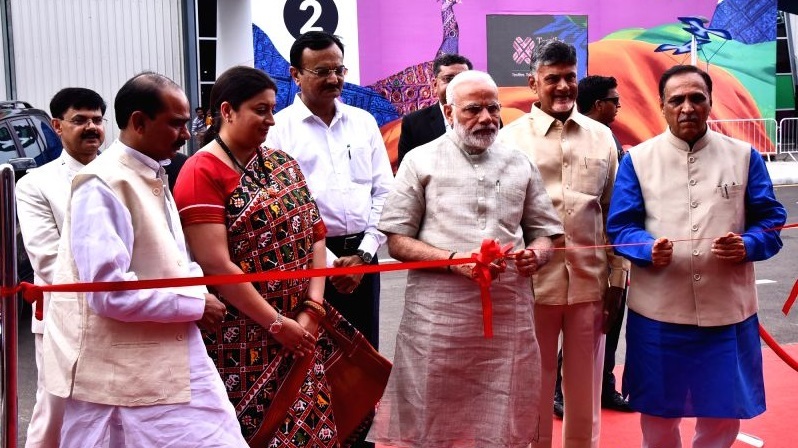 However, it is crystal clear that none of these goals can be achieved without promoting domestic products and industries, especially the textile industry. Similarly, promotion of textile industry should be given top priority as this industry is directly related to the promotion of other industries. 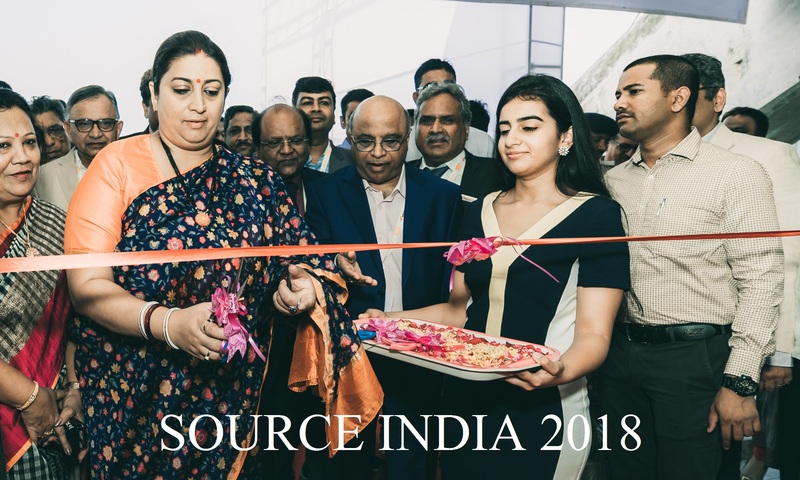 Looking to India, it has a separate ministry to look after textiles while we do not have even a unit at the Ministry of Industry, Commerce and Supplies to deal with issues related to textiles. The government earlier had formed a textile board which is defunct today. The government should revive this board and form a separate institution to deal with textile issues. Does this mean that the government is not taking the textile industry’s problems seriously? As the government has set ambitious goals to reduce the trade deficit gap and generate additional 500,000 job opportunities within the next few years, the government has to be serious towards the issues of the textile industry and other sectors too. Though the government’s decision has affected the textile industry today, such decisions can leave a negative impact on other sectors also in the future. In case the government fails to address industrial problems today, other industries will also shut down their operations gradually. As ‘prevention is better than cure’ we expect the government to take necessary steps to promote the industrial sector on time. 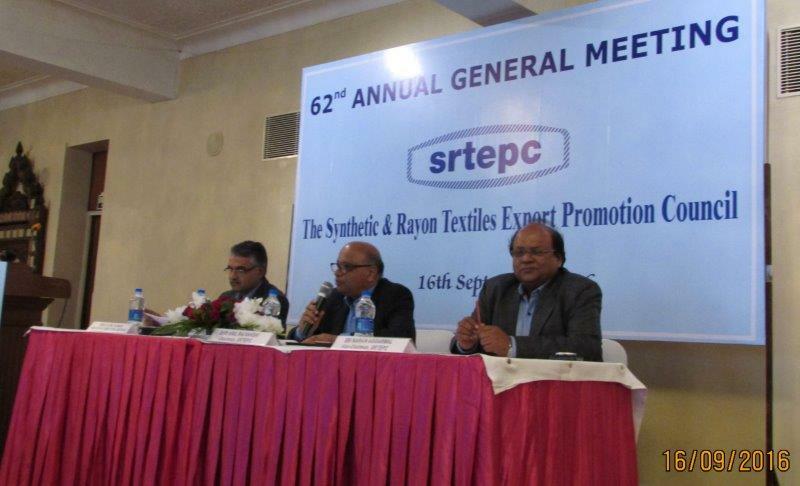 In what ways can the government address the contemporary problems of textile industry? We want the government to review its decision to scrap VAT refund facility for textile entrepreneurs. The VAT refund system in the textile industry is crucial to make domestic textiles competitive in the market amid the availability of cheaper imported textiles. However, the government today is saying that VAT refund system is against the principles of VAT, which is false. Had it been, the government had been adopting wrong VAT policy since the last two decades. If VAT refund is not possible, the government should subsidise the sum equivalent to what textile entrepreneurs had been getting under VAT refund. The government has been subsidising sugarcane farmers. It can subsidise textile entrepreneurs in a similar way. 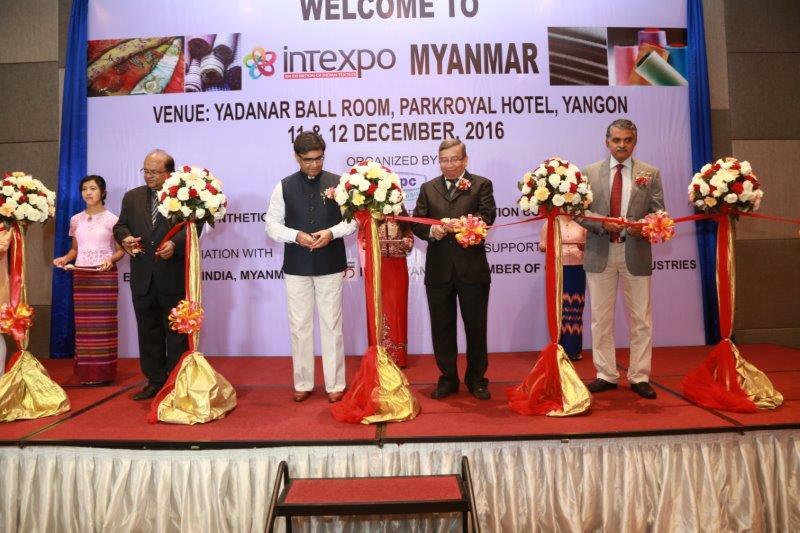 Textile industry is one of the major contributors to the country’s economy. The private sector has injected more than Rs 15 billion in the industry while more than 200 textile factories in the country have been providing employment opportunity to thousands of people. The government should realise this fact and seriously deal with concerns raised by textile entrepreneurs. Investment in the textile industry increased especially after the government implemented VAT refund facility for entrepreneurs. Such incentives had also been encouraging textile entrepreneurs to give priority to the quality of the product using latest technologies in recent years. Cancellation of the VAT refund system will hit all these aspects in the textile industry. In the context of Nepal, industries cannot sustain without the support of the government. Entrepreneurs have been stating that the increasing illegal import of textiles in the country has been affecting their business. Why do you think the country has not been able to curb this trend? This is especially because of the weak regulatory system in the country. In fact, almost 90 per cent of the domestic demand for textiles is met through illegally imported textiles. We do not have data on per capita consumption of textiles in Nepal. But taking the reference of neighbouring nation India, an individual there requires almost 30 metres of cloth per year to fabricate clothes. Hence, as Nepal’s population is almost 30 million, the country requires almost 900 million metres of textiles annually for clothing purposes. As textile is also used in various other purposes, we estimate that Nepal requires almost two billion metres of textiles annually. Domestic textile factories have the capacity to produce up to 70 million metres every year and some 200 million metres of textiles are being imported through legal channel annually. This clearly shows the stake of illegally imported textiles in the domestic market. The rise in illegal import of textiles is not only affecting domestic manufacturers but the government has been losing huge revenue too. If the government seriously adopts effective measures to control illegal import of textiles, the trend can be controlled. However, the government seems less serious about this issue. THE apparel sector is a main contributor to the national economy. The industry, with more than four million workers, account for 82 per cent of the country’s export income. However, lack of knowledge in larger international trade system has affected the apparel exporters’ negotiation power. exporters, economist and other stakeholders at a consultation meeting in Dhaka, observed negligence in skills development of the exporters. The Bangladesh Knitwear Manufacturers and Exporters’ Association says that the same global buyer that buys products from Cambodia offers half the price when it buys similar products from Bangladesh as exporters here do not have informed negotiating and bargaining capacity. For a sustainable growth of the industry, the government should, therefore, invest in developing the knowledge of exporters of political economy of international trade and of appropriate strategies and tactics in trade negotiations. 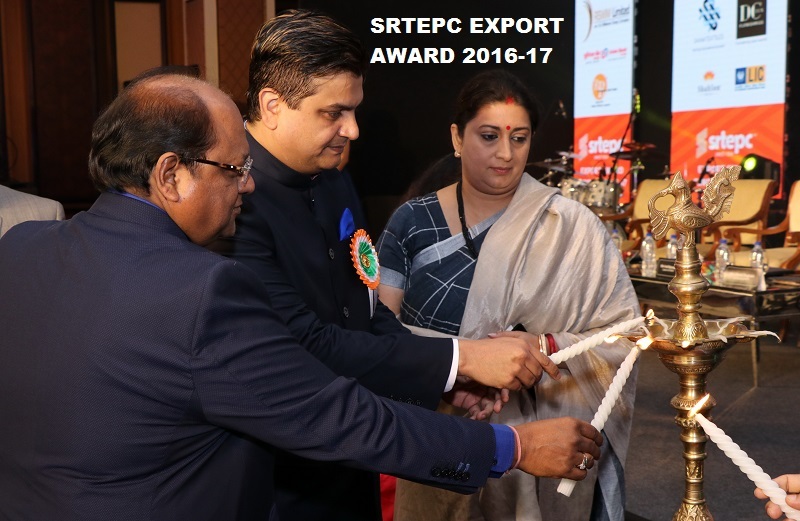 Domestic competitiveness, cost of doing business, workplace safety, product and market diversification, skilled labour force, foreign direct investment and technological advancement and automation in production process are also key to retaining momentum in apparel export growth. To address the situation, as economists suggest, the industry needs a holistic strategy. To reap fair prices for export product, a strategy is needed to improve negotiation skills at both the entrepreneur and the government level and to empower local exporters to develop a relationship with global buyers on an equal footing. Government efforts has so far been focused on tax benefits and similar incentives that, as experts say, do not ensure a sustainable growth. The organiser of the consultation meeting also noted that the current lack of political commitment on part of Bangladeshi exporters to ensure a living wage for workers also places the industry in a competitive disadvantage compared with other Asian countries. A study reveals that apparel workers in Cambodia work for 47 hours a week and in India for 46 hours a week whereas Bangladeshi workers work for 60 hours a week. Moreover, 54 per cent of workers are paid below the minimum wage. 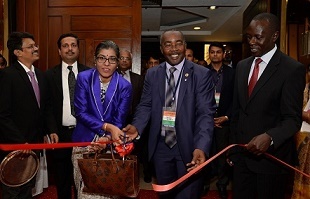 Therefore, for the apparel sector to earn a competitive edge in a rapidly transforming global industry, the government and exporters must attend to the pressing issues that may affect its growth. It is high time that the government took initiatives to enhance the knowledge base of exporters so that they can enter into trade negotiations with global buyers more effectively. For a long-term sustainable growth in the industry, all stakeholders must develop a holistic strategy to ensure the development of entrepreneurship and the betterment of the labour force involved in the industry. WELLINGTON - A landmark 11-member deal that will slash tariffs across much of the Asia-Pacific will come into force at the end of December, New Zealand said on Wednesday, a rare bright spot for global commerce as the U.S.-China trade war intensifies. The deal moved forward after Australia become the sixth nation to formally ratify the deal, alongside Canada, Japan, Mexico, New Zealand and Singapore. “This triggers the 60 day countdown to entry into force of the Agreement and the first round of tariff cuts,” said New Zealand Trade and Export Growth Minister David Parker. His country is responsible for official tasks such as receiving and circulating notifications made by members of the pact. The original 12-member deal was thrown into limbo early last year when U.S. President Donald Trump withdrew from the agreement to prioritize protecting U.S. jobs.. The remaining nations, led by Japan, finalised a revised trade pact in January, called the Comprehensive and Progressive Agreement for Trans-Pacific Partnership (CPTPP). The deal will reduce tariffs in economies that together amount to more than 13 percent of global gross domestic product (GDP) - a total of $10 trillion. With the United States, it would have represented 40 percent. “As protectionist moves strengthen across the world, the importance of free and fair rules is growing more and more,” Japanese Economy Minister Toshimitsu Motegi told a news conference in Tokyo. He added that Japan would continue be “a flag-bearer for free trade.” The success of the deal has been touted by officials in Japan and other member countries as an antidote to counter growing U.S. protectionism. They hope that Washington would eventually recommit to the pact. Trump’s economic agenda, however, remains focused on China as a trade war between the world’s two largest economies shows little sign of abating. Trump on Tuesday warned he is ready to impose additional tariffs on Chinese goods if an agreement with Beijing could not be reached. The United States has already imposed tariffs on $250 billion worth of Chinese goods, and China has responded with retaliatory duties on $110 billion worth of U.S. goods. The trade war threatens to check global economic growth, though signatories to CPTPP said the deal would be a boon for several sectors. Australia said the agreement will boost agricultural exports, set to be worth more than A$52 billion ($36.91 billion) this year despite a crippling drought. The five member countries still to ratify the deal are Brunei, Chile, Malaysia, Peru and Vietnam. Peru’s deputy trade minister Edgar Vasquez told Reuters he expects Lima will ratify the agreement before 2019. “One of the countries that will benefit the most is Peru,” said Vasquez. Reducing the environmental impact of fast fashion relies on the “emotional longevity” of garments to consumers, the first evidence hearing of the Sustainability of the Fashion Industry inquiry has found. “One of the challenges is emotional longevity which determines whether a garment is fast fashion or not”, Dr Mark Sumner, lecturer in sustainability, retail and fashion from the University of Leeds, told MPs at the environment audit committee on 30 October. Sumner was joined by Stella Claxton, senior lecturer in clothing sustainability research at Nottingham Trent University, professor Richard Thompson of marine biology at the University of Plymouth and Alan Wheeler, director of the Textiles Recycling Association, to discuss the problems and solutions for environmental sustainability in the fashion industry. Claxton agreed with Sumner on the incentive for consumers to recycle: “With Boohoo and Missguided, aimed at young women, the actual value of the item is very low [in terms of quality and emotional connection] so the incentive for them to recycle and want to pass that on is very low. The opportunity for that end of the market to have a second-hand opportunity is quite limited.” Professor Thompson pushed for funding to allow material and social scientists to collaborate and provide evidence that could then be used to create sustainable products at the design stage. He said: “We need to make sure we’ve got reliable evidence in the round. In certain aspects we’re missing key pieces of the puzzle. It’s about bringing together academics across the disciplines to help us understand exactly what we’re missing and to really inform change.” Thompson also stressed the need to not expect instant results. “What worries me is that some of the funding schemes are requiring very fast turnarounds that don’t align themselves with the systemic change that we should be looking for.” The panel discussed the limits of possible improvements to the UK’s textile recycling and reuse uptake. Wheeler explained that an increase in recycled or reused garments from the UK could cause issues for the global recycling market. He said: “We need to look at ways in which we can get more clothing out of the waste stream, but there are markets of limited capacity. We could improve our collections a bit, but the global issue is if our European partners started collecting as much as we do there would be a real problem.” Instead, he said he would like to see government incentives for companies to produce garments with a high recycled content. Financial Times investigative reporter Sarah O’Connor said government enforcement was also the way forward in supply chain transparency. “Plenty of companies have been named and shamed, but it does no harm to their sales. Relying on that alone will not be enough. We shouldn’t put too much on the consumers shoulders, it has to be government enforcement and the industry that changes this.” Joined by Kate Elsaved-Ali, international advocacy manager at Anti-Slavery International and Sarah Ditty, policy director at Fashion Revolution, the three agreed that more should be required of companies as part of the Modern Slavery Act 2015. Elsaved-Ali said: “We need to look beyond compliance, we are calling for mandatory supply chain transparency and due diligence. We should also address some gaps and bringing public authorities into the legislation as they are massive consumers of uniforms.” Ditty agreed that a stricter Modern Slavery Act would give consumers more power to make informed decisions. She said: “At least then consumers have access to what the companies are doing to address human rights and remedy them, then at least you can have a better gauge in terms of what you’re buying.” The second hearing will take place at London’s V&A Museum on 13 November.